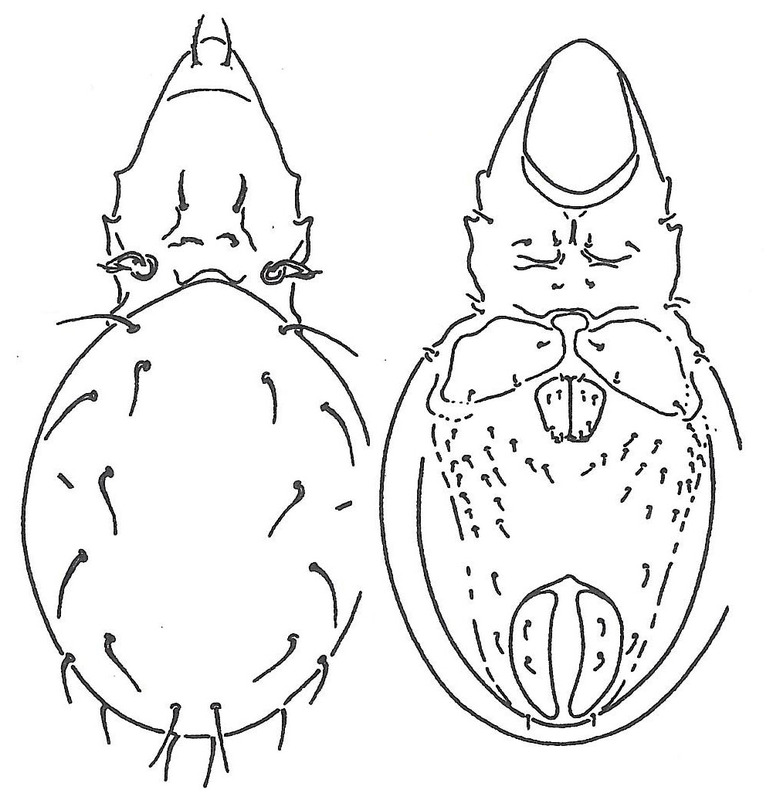 Dorsal (left) and ventral views of Neotrichoppia pseudoconfinis, from Balogh & Balogh (1992 vol. 2). 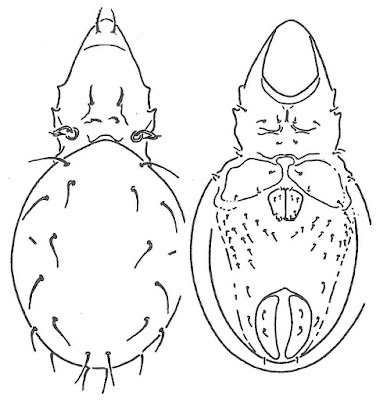 Neotrichoppia is a Palaearctic genus of oppiid oribatid mites (Subías 2004). Characters (from Balogh & Balogh 1992): Prodorsum with lamellar costulae present; lamellar setae much nearer to interlamellar setae then to rostral setae. Dorsosejugal suture continuous, convex, penetrating deeply into basal part of prodorsum. Notogaster with crista absent; seta c2 well developed. Genital plates with five pairs of setae; aggenital region with one or fifteen pairs of setae.